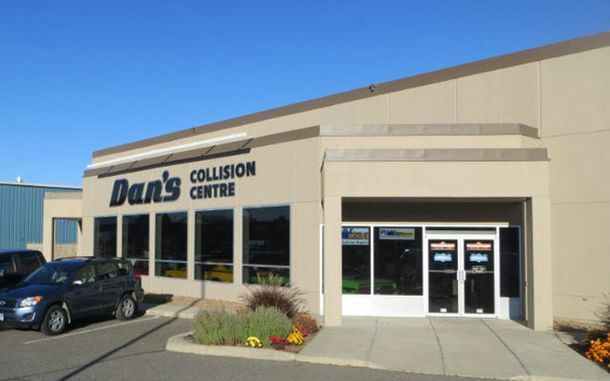 Dan’s Kamloops Collision Centre invites you to get in touch with us to ask us about our capabilities, request a free estimate, or to schedule your service with our auto body specialists. If you’re coming in to see us, we are conveniently located on Dalhousie Drive near the Wal-Mart. You can contact us by phone, email or by using the convenient form below. If you choose to contact us in writing, please fill out all the fields and allow us 24 hours to respond to your inquiry. We also accept insurance claims. We have shuttle services available as well.